NEW ARRIVAL! This Beautiful Tree of Life Silver Charm Bracelet has 3mm round silver beads with a Silver Tree of life Charm in the centre in a silver surround. It has a very high polish so looks really stunning and it is elasticated and approx 7 1/2″ round. Beautiful Tree of Life Silver Charm Bracelet. 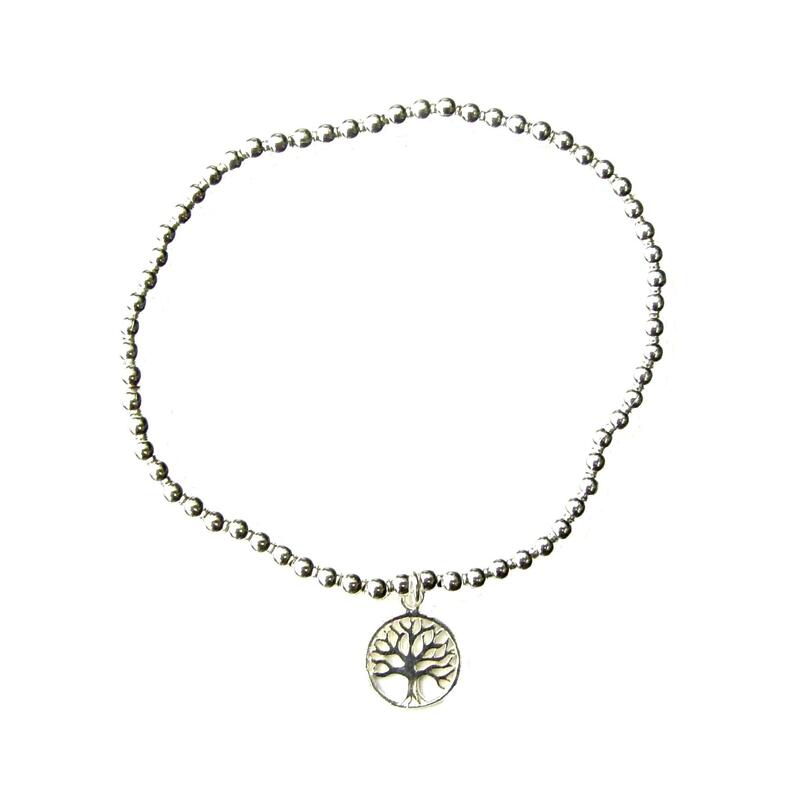 This Beautiful Tree of Life Silver Charm Bracelet has 3mm round silver beads with a Silver Tree of life Charm in the centre in a silver surround. It has a very high polish so looks really stunning and it is elasticated and approx 7 1/2″ round. This website is strictly for approved Wholesale customers only, if you are looking to purchase this Beautiful Tree of Life Silver Charm Bracelet from a retail store, please visit Shooting Star.